I’ve been falling back into my old recipes, so I broke out the binder of recipes I’ve taken out of magazines and found this one from the Weight Watchers Magazine. It’s very easy to make and tasted great! Preheat oven to 450 degrees. Line a large baking sheet with foil and lightly spray with cooking spray. Brush the drumsticks with the mustard; set aside. 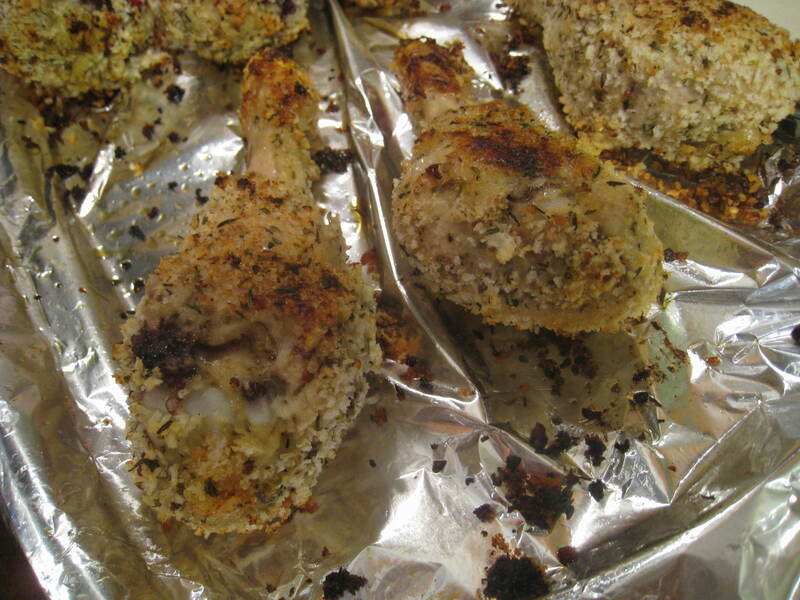 Mix the panko, herbs, salt and pepper in a large zip-closed bag; add the drumsticks. Squeeze out the air and seat the bag. Turn to coat the drumsticks. Place the drumsticks on the prepared baking sheet and lightly spray with cooking spray. Bake until browned and cooked through, 35-40 minutes, spraying drumsticks with more cooking spray half way through baking. Let stand 5 minutes before serving.